It’s almost time to play ball. If you’re a baseball fan you already know that. You’re probably following preseason coverage on your favorite regional sports network. But whether or not your team has decided to up its game, it’s time for you to up your game. It’s time to step up to MLB Extra Innings. What do you get with the Extra Innings package? 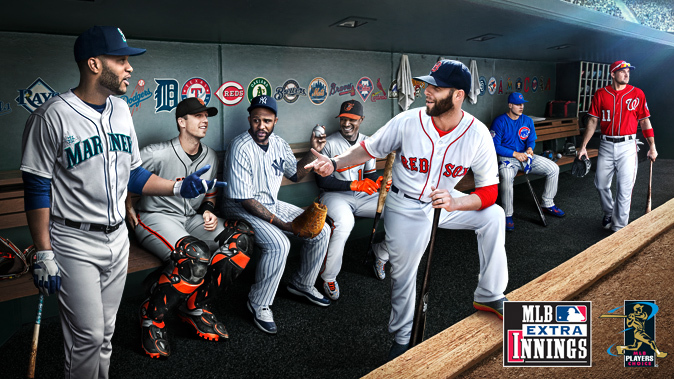 DIRECTV and DISH customers will get every MLB game in the country, subject to blackouts. They’ll also get MLB Network and the Strike Zone channels so you don’t miss any of the great action. DIRECTV takes things just a little bit further with their package. You get everything above plus the Game Mix channel where you can watch 8 games at once. You also get a free subscription to the MLB.TV streaming package so you can watch games on your phone from anywhere (data charges may apply, etc.) The MLB.TV package itself costs almost as much as AT&T charges for the Extra Innings package, so that makes DIRECTV’s MLB Extra Innings an insanely good value. Yes, major league baseball still has blackouts. Most other sports have given up on this practice, but baseball holds onto it. It’s like this: if your local team hasn’t sold out the whole stadium, they have the right to black out the game so you can’t watch it on television. In some markets, there’s also an agreement with a local TV station to cover the game there. If you watch the game on a regional sports network the local station loses out. Personally I think the blackout rule is pretty dumb. Given the amount of money these teams make, I don’t think they’re worried about going bankrupt. Baseball stadium seats are just ridiculously expensive in a lot of parks too, but people pay those prices. People who want to go to games will go, and people who want to watch TV will want to do that. Blackouts are based on your location. I know a lot of people use VPNs to fake their location in order to stream games. I don’t approve of that but still, people will do it. The easiest way to get MLB Extra Innings for DIRECTV or DISH is to call us at Solid Signal. The number is 877.312.4547 and our reps can take care of everything for you. If you want to sign up at your provider’s web site, that works as well. Pricing is already available and it’s more reasonable than you’d think. There are even monthly payment options. Personally I think MLB is the best package to have because you get more games than in any other sports package and the price is not even half what you pay for ten weeks of NFL games. Throw in free streaming and it’s a really, really great value. If baseball is interesting to you at all, this is the time to sign up. There will probably be a free preview weekend but good luck signing up when servers and phone lines are jammed. Better to take care of it now!